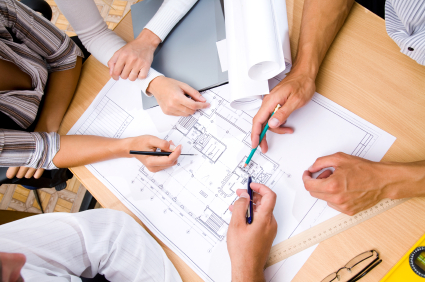 Architecture majors have chosen an exciting and lucrative career path. But studying to be an architect takes time and money, and like all students, architecture majors are faced with the ever rising costs of college tuition. For many students, that time and expense can translate to sizable college loans. Fortunately, there are a wealth of scholarship opportunities for architecture majors than can help to defray the costs of their college education, and keep costly loans to a minimum. Architecture scholarships are fiercely competitive, and are almost always awarded on the basis of merit. For the promising student however, a scholarship to study architecture can be the ticket to their professional future. The vast majority of scholarships for architecture majors are supported by the private sector. Professional associations routinely offer scholarships for promising students as a way of encouraging and supporting the next generation of architects, designers and city planners. These organizations also often offer lucrative fellowships for advanced students at the graduate and post-graduate levels, as well as paid internships to provide students with hands-on learning opportunities. Women and minorities should also keep in mind that many professional architectural associations are working hard to expand and diversify their field. Consequently there are large number of scholarship programs solely devoted to the needs of women and ethnic minorities who are pursuing a career in architecture or one of its related fields. The following examples should give a good indication of the types of scholarships available to architecture majors from the private sector. The American Architectural Foundation works with communities across the country to create vibrant and sustainable cities. In addition to offering grants for community redevelopment projects, the AAF also offers an annual scholarship for minorities and students from disadvantaged backgrounds who are pursuing careers as architects. The AIA/AAF Minority/Disadvantaged Scholarship provides financial assistance to high school graduates and college undergraduates who wish to pursue a professional degree in architecture. Applicants must submit letters of recommendation from a guidance counselor and/or architectural professional, their school transcripts and examples of their design work. Interested students should contact the AAF directly through their dedicated website. The Texas Society of Architects and the Texas Architectural Foundation works together to administer a wide range of scholarships for undergraduate, graduate and post-graduate students who are pursuing degrees in architecture. Eligible students must be attending an accredited school of architecture within the state of Texas, and must meet the academic requirements set by the donors and review boards of the scholarships for which they have applied. The TSA and TAF offer nearly 50 annual architecture scholarships, including the AIA Fort Worth Charles R. Adams Memorial Scholarship, the Charles Lamar and Verda McKittrick Scholarship, the AIA Amarillo Chapter Scholarship and the San Antonio Conservation Foundation Scholarship. Award amounts vary depending on program and college of attendance. The Association for Women in Architecture and Design offers an annual scholarship for women pursuing degrees in architecture, landscape architecture, urban planning and environmental design. Applicants must be attending an accredited college or university in California and must have a minimum of 18 units completed in their major by the application deadline. Award amounts vary according to availability of funds. The Foundation for Enhancing Communities sponsors more than 80 annual scholarships for students pursuing degrees in architecture, urban planning and community development. Deadlines and award amounts vary for each scholarship. Applying students must be prepared to submit their Student Aid Report, as well as school transcripts, letters of recommendation and at least one essay. The Landscape Architecture Foundation offers a number of annual scholarships for students pursuing degrees and careers in landscape architecture. The Olmsted Scholars Program awards one annual scholarship of $25,000 to an exceptional student who has demonstrated a high level of academic achievement as well as significant leadership potential in their field. The LAF also administers the Landscape Forms Design for People Scholarship which awards $3000 to exceptional students pursuing the study of landscape design and sustainable outdoor spaces. Colleges and universities are also valuable sources of scholarships for architecture majors. Most colleges and universities offer a variety of need-based and merit-based scholarships that are available to all students, regardless of major. But many universities which house architecture and design colleges also offer career-specific scholarships for their attending students. The availability of these scholarships will vary greatly depending on the college of attendance, and students should contact their school’s office of financial aid, as well as their major’s department head, for information on possible programs for which they may be eligible. The following campus-based scholarship programs are typical of the financial aid opportunities available to architecture majors through their college or university. The Iowa State College of Design offers a number of scholarship opportunities for first year undergraduates enrolled in an architectural or design program. The Chi and Pam Chiu Design Scholarship is a one time award of $1250 given to two undergraduate students every year. The Design Diversity Scholarship is a non-renewable award of $2500 which is open to all first year undergraduates who identify as African-American, Native-American or Hispanic-American. The Claire B. Watson Design Scholarship is a $1000 renewable award that is open to all students of the Design College regardless of major. California Polytechnic at San Luis Obispo offers a substantial number of scholarships for students enrolled in Cal Poly’s College of Architecture and Environmental Design. More than thirty annual scholarships are available, including the Alfred B. and Joy G. Berghell Scholarship, the City and Regional Planning Scholarship, the Don and Caryl Koberg Architectural History Scholarship and the Kris Cello Memorial Scholarship. Award amounts vary according to program and course of study. The University of Maryland offers a number of lucrative scholarships through its Department of Architecture Planning and Preservation. Among the many programs available to attending students are the School of Architecture Alumni Scholarship, the Dr. Erik and Joyce Young Scholarship, the Laurence P. Sangston Memorial Scholarship and the Design Collective Scholarship/Internship. Awards are determined on the basis of academic achievement and financial need. Final award amounts vary according to program, course of study and availability of funds. The University of Oregon’s Department of Architecture administers a number of scholarships for its attending students. These scholarships are made possible by the generous endowments of university alumni. Current scholarship programs include the Ellen. M. Pennell Award, the Dean’s Graduate Fellowship and the Clara E. Nasholm Scholarship. Award amounts vary and are subject to the availability of funds. Students pursuing a career in architecture and its related fields are embarking on a long educational path. Architecture majors typically find themselves in school for a minimum of five years as they pursue their professional degrees. It can be a long, and costly, process. But with the right scholarships architecture majors can find the funds they need to complete their education and realize their professional goals.